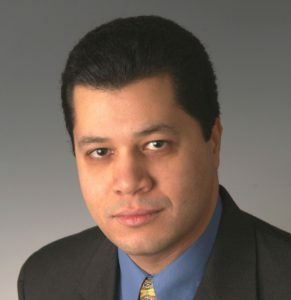 Prof. Dr. Wael Zatar, Director of the Appalachian Transportation Institute, serves as the Associate Director of the UTC Region 3 Mid-Atlantic Transportation Sustainability Center. Additionally, He earlier served as Director of the University Transportation Center Tier 1 Multimodal Transportation and Infrastructure Consortium (MTIC). Dr. Zatar serves as the Director of the University Transportation Center at Marshall University. He served as the Director of Innovations and Asset Management of Sustainable Transportation Infrastructure Systems Program at the Nick J. Rahall II Transportation Institute. He holds memberships in three TRB committees and chairs the TRB AFF80 Committee on Structural Fiber Reinforced Polymers. In addition to receiving Bachelor of Science, Master of Science and Doctoral degrees in civil engineering, he completed a diploma on systems infrastructure development. Previously employed at the University of Kentucky and West Virginia University at its campus of Institute of Technology, Dr. Zatar has been at Marshall University for the past 12 years. He served as the Interim Dean of the College of Information Technology and Engineering (CITE), later becoming the permanent Dean in 2012. Dr. Zatar holds a tenured professor academic appointment and was named the Distinguished J.H. Fletcher Chair of Engineering at Marshall University. Many factual references support the positive impacts Dr. Zatar has made in the engineering and transportation fields. His influence has not only benefited the students at Marshall University, but has also influenced the residents in the state of West Virginia, the United States, and beyond. He received more than 80 awards and honors including the 2016 Precast/Prestressed Concrete Institute Distinguished Educator Award, the 2012 Precast/Prestressed Concrete Institute Educator Award, and the 2015 West Virginia ASCE Distinguished Educator Award. A fellow of the Precast/Prestressed Concrete Institute, Dr. Zatar has been heavily involved in a number of the institute’s programs. He is the Chair of the Student Education Committee and has served on 20 committees of the Precast/Prestressed Concrete Institute including the R&D Council, Educational Activities Council, Academy Advisory Board, Innovation Committee, Building Code Committee, Bridge Committee, Total Precast Systems Committee, FRP Committee, Quality Assurance 2020 Vision, Seismic Design, Prestress Losses, Sustainability, Adjacent Members, and Accelerated Construction. Dr. Zatar has over 26 years of research and experience in the seismic design and retrofit of bridge infrastructure that gained him national and international acclaim as well as awards from the United States, Japan, Canada, Mexico, etc. Prior to his appointment as the President of the West Virginia ASCE, he served as the Vice President of the West Virginia Section of the American Society of Civil Engineers. Dr. Zatar has made outstanding contributions to the education, research and development through receiving a plethora of significant funded research grants from governmental and state agencies that advanced the state-of-the-art of concrete retrofitting and strengthening, use of innovative and sustainable materials, prestressed concrete earthquake-resistant structures, service life prediction, durability, structural health monitoring, and nondestructive testing and evaluation. He disseminated research findings through authoring more than 170 journal papers and technical publications in numerous journal publications including the Transportation Research Record Journal of the Transportation Research Board, Elsevier, American Concrete Institute, Precast/Prestrseed Concrete Institute, Federation International du Beton, American Society of Civil Engineers, Balkema, International Association for Bridge and Structural Engineering, Journal of Bridge Structures, Journal of Engineering Structures, Japan Concrete Institute, Japan Society for Civil Engineers, Procedia Computer Science, Advances in Vibration Engineering, Advances in Materials Science and Engineering, Advances in Civil Engineering, and Journal of Infrastructure Systems. He has published and written chapters in six books and has attended and presented articles in more than 250 conferences, workshops and short courses. Dr. Zatar held memberships in 3 honor societies and 24 professional societies including the Transportation Research Board, Engineering Deans Council, American Society of Engineering Education, American Concrete Institute, American Society of Civil Engineers, Precast/Prestressed Concrete Institute and American Institute of Non-Destructive Testing. He has served as a member of 44 national committees in the Transportation Research Board, American Concrete Institute, American Society of Civil Engineers, Precast/Prestressed Concrete Institute, etc. He served as a panelist for the American standards of Testing Materials, National Science Foundation, and National Cooperative Highway Research Program. In addition to serving on a reviewer capacity for many proposals submitted for possible funding to National, Tier 1, and Regional University Transportation Centers, Dr. Zatar reviewed proposals for numerous international organizations including the Canadian Society for Civil Engineers, Japan Society of Civil Engineers, and Korean Society of Civil Engineers. Dr. Zatar has been a reviewer for 23 international transportation, civil, and structural engineering journals and has reviewed more than 225 manuscripts submitted for possible publication. He has been invited to speak at 28 universities and technical institutions. He has helped organize more than 50 national/regional conferences and meetings and has provided several short training courses. He is currently serving as a member of 31 national engineering/education committees. Dr. Zatar serves on the editorial board of the American Society of Civil Engineers. Dr. Zatar’s research interests include, but are not limited to, bridge and asset management, construction materials, seismic design and retrofit of bridge structures, precast and prestressed concrete, advanced experimental destructive testing, non-destructive testing and evaluation, structural health monitoring, fiber-reinforced polymer composites, green and sustainable highway infrastructure, accelerated bridge construction and many more. Dr. Zatar has formed international consortia to address transportation challenges across the globe and has received recognition from the Japan Society of Civil Engineers, the Japan Concrete Institute, and Japan Society for the Promotion of Sciences. Dr. Zatar’s collaboration with institutes of higher education have allowed him to serve as a guest speaker at many of these institutes and as an external Ph.D. examiner for thesis of top universities from many countries. Dr. Zatar’s distinguished teaching record includes 10 undergraduate courses, two undergraduate laboratories, eight graduate courses and two graduate laboratories. Dr. Zatar has acquired significant industrial expertise resulting from six years of full-time employment at a mega German company where he climbed the ladder to serve as a senior design engineer and 20 years of part-time employment interacting with numerous companies from around the globe.